Access the Akashic Records for yourself and others. Develop new skills for personal empowerment, creativity and transformation. Awaken to greater spiritual awareness and aliveness. Examine patterns that have both inhibited and enhanced your evolutionary path. Gain a greater acceptance and appreciation of who you are, where you’ve been and where you might be going. Those who have completed the beginning training will have the option to take my Advanced class this fall to enhance your Akashic reading skills. You will learn how to do energy healing through the Records, clear unwanted ancestral patterns and reconcile past lives. For me, working in the Akashic “field” brings clarity and light into my daily life and allows me direct access into my own spiritual authority. When I open my Records it feels like a divine lube and oil job for my Soul! Space is limited so please send a $50 non-refundable deposit payable to Linda Joy Stone and mail it to the Acacia Acupuncture address on the side bar. Please join me as an agent for transformational change in helping to bring in more Light! and right-doing, there is a field. 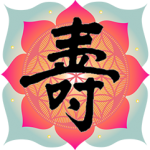 I have been accessing the Akashic Records for 19 years and am a practitioner of Traditional Chinese Medicine for 26 years. Please contact me if you are interested in a two-hour Akashic Acupuncture session (regularly $190, now $175 through August) that includes a one-hour recorded Akashic reading followed by acupuncture with shamanic drumming.